The frequency of reading to children at a young age has been proven, by a study undertaken in 2013, by Guyonne Kalb and Jan C. van Ours, to be a directly causative factor on their learning outcomes, when they go on to school, irrespective of their family backgrounds and home environments. The research, the outcome of a partnership arrangement between the (then) Department of Education and Early Childhood Development and the Melbourne Institute of Applied Economic and Social Research, set out to explore the connections between parents’ reading to their young children and their child’s later reading and other cognitive skills. 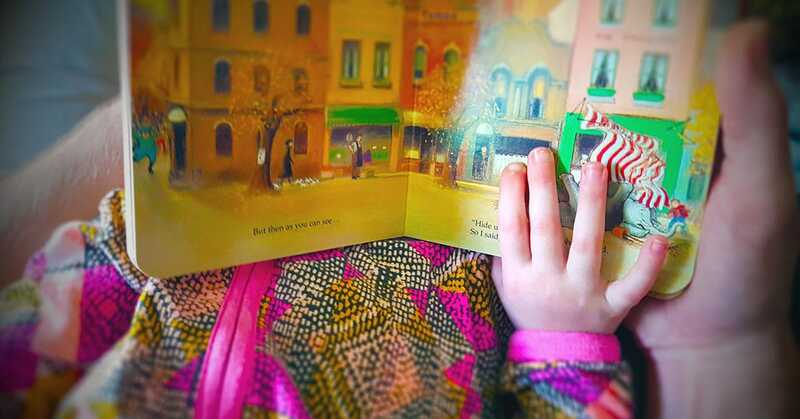 What do we already know about reading stories to very young children? Young children’s cognitive skills are an important factor in a child’s achievement of success later in life. Attaining skills at an early stage in life leads to more skill attainment later on. Cognitive ability has a direct bearing on both whether a person acquires higher education and advanced training, and whether they get a well-paid, good job. A person’s cognitive skills are not pre-determined by heredity; they can be influenced through participation in education at pre-school and school, and significantly, through the efforts of one’s parents. 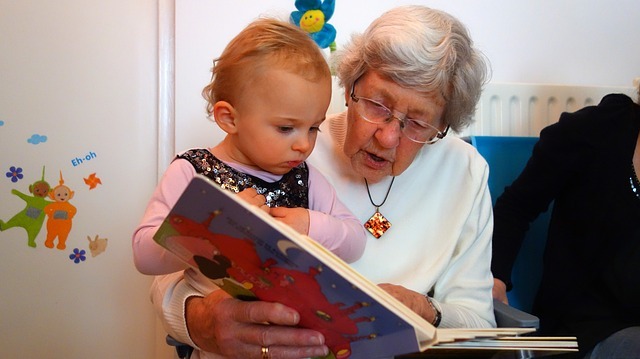 Research has identified a lot of important facts about reading stories to very young children. The most valuable period for parents to ‘invest’ in their children’s cognitive skill is early in their children’s lives. There is a direct link between parents’ reading to their children and the child’s subsequent reading skills, language skills and cognitive development. Children, who are read to more frequently at an early age, commence school with more extensive vocabularies and more advanced comprehension skills. Reading to pre-schoolers is connected with language growth, emergent literacy and reading achievement. Reading to children encourages them to read books themselves and, thereby further advance their cognitive skills. One of the most important activities for developing the knowledge required for eventual success in reading is parents’ reading stories to their children. Does parental reading to children early in life improve the child’s own reading and other cognitive skills? The research discussed in this post examined the effect of parental reading to children early in life on the child’s own reading and other cognitive skills. The approach to research and the analysis of the data took account of a wide range of child, parent, household and characteristics of the child’s early childhood education and care. The focus of the research, parents’ reading to their four-year-old children and the subsequent development of reading skills in the four- to five-year-old period, is relevant, due to the fact that early remediation or stimulating pre-reading activities may be advantageous for the development of reading skills later on. As well as examining reading skills at age four to five, the research looked at later reading skills of children up to age ten to eleven. More than one measure of reading skill was observed, across all age groups within the study, which enabled the consistency of results, when using different measures, to be verified. 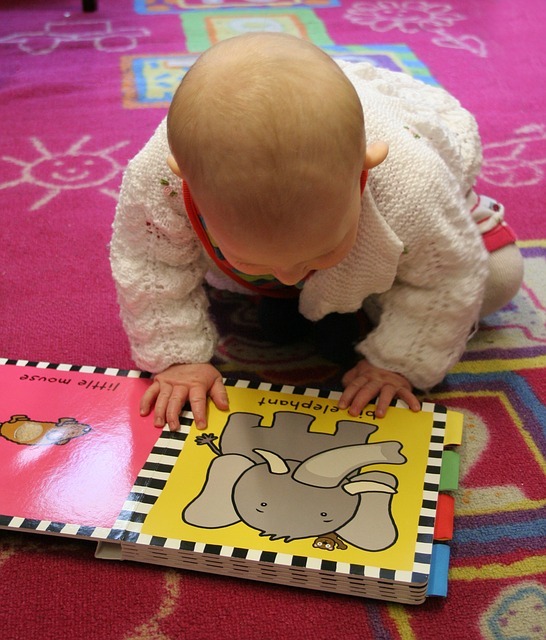 How strong is this association between reading to children and their developmental outcomes? The copious amount of literature on the association between reading to children and developmental outcomes concludes with the same basic idea, that there is a strong association between reading to children and developmental outcomes. However, there is a difference between an ‘association’ and proving that reading to very young children actually is the cause of their enjoying better developmental outcomes. 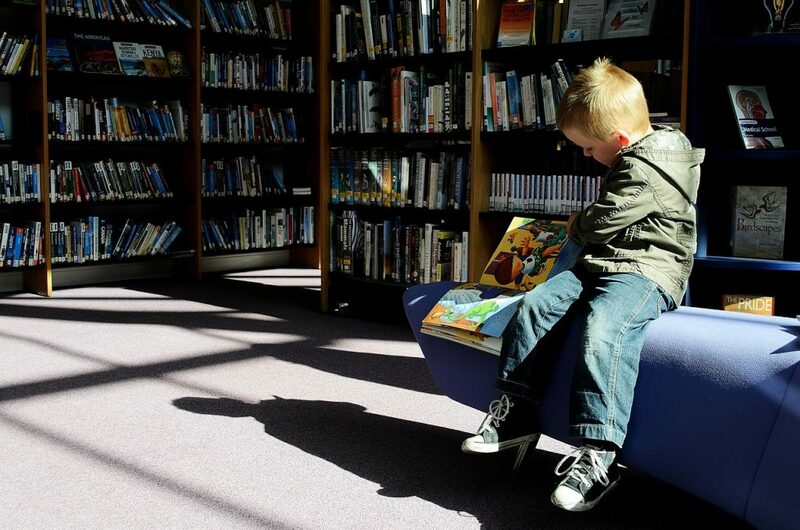 The research undertook a number of analyses using economic and statistical methodology to investigate whether reading to very young children leads to better developmental outcomes. Using the Child Cohort in the Longitudinal Study of Australian Children (LSAC), which includes a wide range of information relating to the child’s family environment, early childhood and schooling experiences, and physical, socio-emotional and learning outcomes, over a six-year period, the research team tracked a group of over four thousand children who were aged four to five in 2004. This study looked at the influence of the frequency of reading to children at age four to five in terms of their current and future performance on measures in relation to their reading skill levels, language skills, Year 3 NAPLAN scores, other cognitive measures, such as school readiness and teachers’ ratings of the child’s approach to learning and measures relating to physical and socio-emotional developmental outcomes. In order to decide whether the frequency of reading to children at age four to five actually affected their future abilities in the skills already discussed, the analysis of the data obtained from these measurements involved examining the patterns in the raw data, and removing the influence of family and household characteristics, that correlate with the frequency of reading to children. Deciding whether there was a causal relationship made use of the existence of factors, which have an impact on learning outcomes only through their influence on whether children were read to or otherwise. The raw data indicated that there was a distinct association between reading to children more frequently and higher early reading scores, such that the children, who were read to more frequently, had higher reading skills as measured by parents and teachers at age four to five. The data also showed that girls performed slightly better than boys, irrespective of how frequently they were read to. This pattern was evident across all the various measures in the LSAC, with girls doing better than boys across all the language-related skills. Analysis of the NAPLAN reading test scores showed that both girls and boys, who were read to more frequently, were more likely to score high on the NAPLAN reading test. The NAPLAN results also showed a similar association for numeracy skills, such that girls and boys, who were read to more frequently, were more likely to score high on the numeracy tests. However, these effects were less significant than the effects on the NAPLAN reading tests. Patterns in the raw data also indicated a clear association between reading to children more frequently and higher cognitive skills at ages eight to nine. How can we be sure that it is reading stories to young children that leads to these apparent effects? Obviously, there is a multitude of factors that may affect the frequency of parents’ reading to children. In order to explore the effect of the frequency of reading to children at age four to five, on their future cognitive skills, ‘multivariate data analysis’, a statistical technique used to analyse data that arises from more than one variable, was used to account for the influence of family and household characteristics, such as the number of television sets in the home, parents’ education levels, ages and incomes, number of siblings, and the principal language spoken at home. When there were more books in the home and when the education of either parent was higher, children were read to more frequently. What else did the research show up? The research turned up some interesting information about different influences on the development of children’s reading skills. It was noticed from the research that reading skills were better amongst those children, who were in the upper half of the four- to five-year-old age group and came from a home where a language other than English was the principal language spoken. Another interesting facet was that the educational standard of the parent had no significant effect on reading skills in the four- to five-year-old age group, although it may have had more of an influence when children were older. How much of a difference does reading stories to young children make, in terms of their development? The results patently demonstrated that there was the strong association between reading to children and the progress of the development of their early reading skills. However, it doesn’t stop there; the overall results of the study showed that reading to children often and early had a bigger effect than was apparent in the study’s raw data. To fully understand the significance of the effects of reading to children often and early, they can be understood from the point of view of how the age of the child influences the extent of their reading skills. For the boys in the study, it was found that reading to them on three to five days per week, when compared to those who were read to twice or less frequently per week, had an effect on their reading skills at age four to five as being similar to those of a child almost six months older, whereas six to seven days a week of having stories read to them affected reading skills at age four to five similar to their being almost a full year older. As far as girls are concerned, the effects were slightly more significant relative to age, than for boys, such that they compared to just over six months’ increase in age and just over one year’s increase in age, respectively. 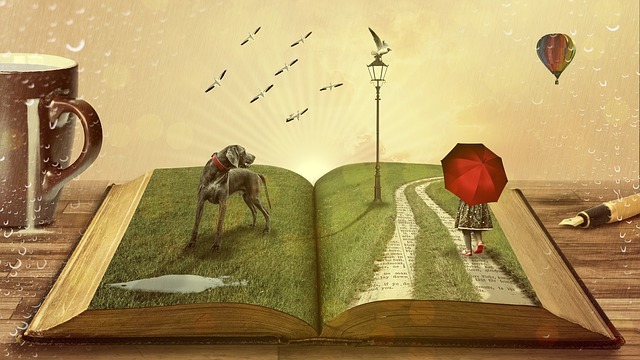 How important is it for parents to read their children stories early and often, in relation to their developmental progress and educational achievement? The study shows that there is an important role for parents to play in their children’s development and educational achievement, regardless of their income, their education level or their cultural background. When parents read to their children often and early, it has been shown to increase the child’s reading and other cognitive skills to the age of ten or eleven and beyond, possibly for the rest of their lives.